Dubai, UAE., Dec. 1, 2010 - Juniper Networks (NYSE: JNPR) has announced it has acquired the intellectual property assets of Blackwave, an innovator in Internet video storage and delivery infrastructure, further enhancing the company's solutions for delivering Internet video content with exceptional scale, performance and efficiency. Financial terms of the transaction were not disclosed. Juniper plans to integrate Blackwave's technology with Juniper Networks® Media Flow Controller, creating one of the most comprehensive converged content delivery solutions. This move reinforces Juniper's continued investment in technologies that bring value to service providers, content providers and content delivery networks (CDNs). Juniper Networks Media Flow portfolio includes advanced software and hardware designed to address the challenges of rich media delivery. Media Flow is a converged content delivery and caching solution that dramatically improves the performance of rich media delivery by leveraging unique innovations such as hierarchical caching, superior media-aware intelligence and massive scalability. With Media Flow, customers can profitably and efficiently deliver rich media content at massive scale. DUBAI, U.A.E - 30 November 2010 – Emirates has received industry recognition in the recent 2010 GEMAS Effie (Gulf Marketing Review Effectiveness in Marketing Awards) MENA Awards. Boutros Boutros, Emirates’ Divisional Senior Vice President Corporate Communications was awarded the coveted GEMAS Marketer of the Year. 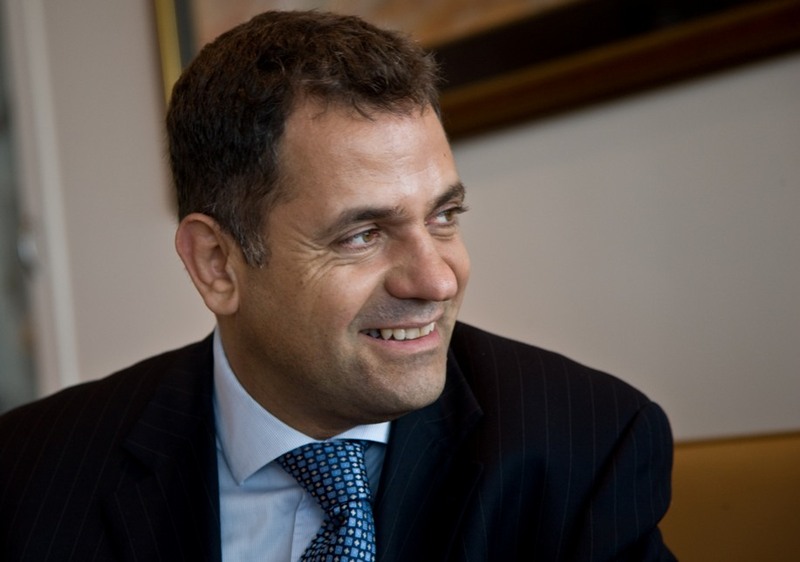 Boutros was selected by a 15-strong panel comprising regional and international marketing experts. The prestigious award recognises the positive impact that sustained marketing exposure along with an excellent product can have on a brand. “The Corporate Communications department under the hands-on management of Boutros has done an excellent job of conveying the Emirates message to our consumers. Communicating with our customers and partners has been pivotal to our success and we have spared no expense in ensuring our message meets the right people at the right time. Boutros abundantly merits this important award,” said Sir Maurice Flanagan, Executive Vice Chairman, Emirates Airline and Group. Emirates employs a full range of classic and contemporary elements in its communications mix to ensure it stays ahead of the game in a very competitive environment. “Keeping a brand relevant and fresh can be difficult but Emirates products speak for themselves. We have a young and modern fleet of aircraft, fitted with the industries best products, as well as a dynamic staff who have helped make Emirates the global icon that it is today,” added Boutros. The airline has always been at the forefront of communications and is adept in growing its communications strategy alongside a consistently expanding international brand. Now operating to 109 destinations Emirates has worked hard to ensure its brand is easily identifiable wherever it flies to. Such initiatives include global sports sponsorships. Today the airline is linked to some of the world’s leading sport events, spread across the six continents that Emirates flies non-stop to from Dubai. As part of its international exposure Emirates has also played an active role in promoting Dubai as an international destination for sport, business and tourism. The GEMAS effie Mena Awards were launched to recognize, educate and encourage effectiveness among the marketing communications industry across the Middle East. The GEMAS Marketer of the Year is awarded to individual who has made an outstanding contribution to the marketing function and raised the standard of marketing within the organisation. The person is someone who, through innovation, strategy and communications excellence, has made a positive impact on the market place, evidenced through clearly quantifiable post-campaign evaluation. It is someone who, in the opinion of the judg¬es, has made a significant contribution to raising the standard of marketing in the Middle East. Dubai, November 30, 2010: The potential of the Middle East’s market for organic products is under explored and the sector has immense growth opportunities with a predominant youth population in the region taking to healthier and more eco-friendly lifestyles, said organizers of the eighth edition of the Middle East Natural and Organic Product Expo 2010 (MENOPE 2010). Addressing a press conference, organizers of MENOPE 2010 said the regional organic food market currently valued at approximately S$300 million a year was growing at a pace of nearly 20 per cent, mainly driven by the rising affinity of the youth population to embrace healthy and natural lifestyles. MENOPE 2010 is being held under the patronage of the UAE Ministry of Health, Ministry of Environment and Water and Dubai Municipality. It is supported by International Federation of Organic Agriculture Movements (IFOAM), Korea Health Supplement Association (KHSA), Chamber of Herbal Industries of the Philippines (CHIPI), Department of Agriculture, the Philippines and Malaysian Herbal Association among others. The participating countries in MENOPE 2010 include strong participation from the UAE, Italy, United States, United Kingdom, India, Germany, Belgium, China and Kingdom of Saudi Arabia, the Philippines, among others. “The Middle East boasts of a highly eco-conscious populace which contributes to the success of the expo here. The expo still remains as the only one that caters to the natural and organic products market in the region. We are positive that the success of the previous years will continue to reflect on the eighth edition of the expo creating a prolific platform for the industry to grow and excel,” Eng. Nadim Al Fuqaha said. MENOPE 2010 will showcase a variety of products spanning across Herbals and Spices, Food & Beverages, Cereal Products, Supplements, Health Care products, Natural Living, Natural Cosmetics, Healing Products, Natural remedies, Traditional Medicines, Spas, Relaxation facilities, Pet products and Fabrics. Participants at the three-day MENOPE 2010 come from over 25 countries bringing in a wide range of high-quality natural and organic products. 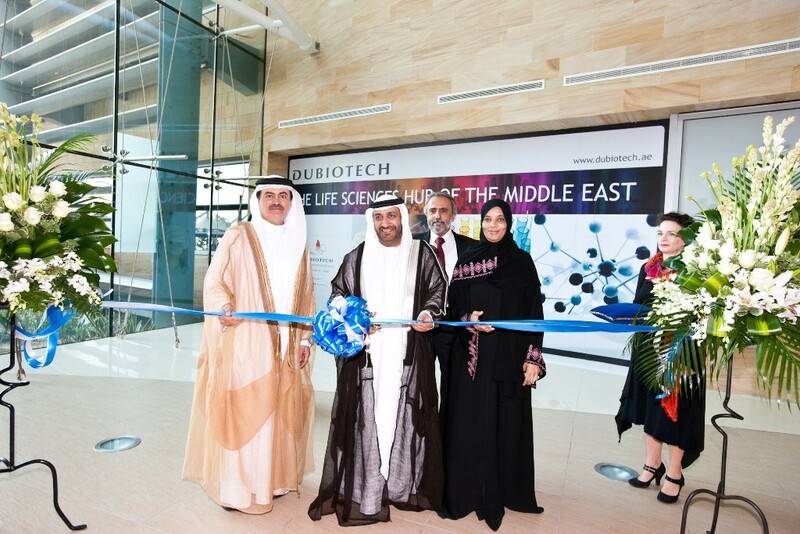 The expo will be held at the Dubai International Convention and Exhibition Center from December 6-8, 2010. One of the significant highlights of this year’s MENOPE is the 1st MEVEG Congress, organised by the Middle East Vegetarian (MEVEG) Group, a not-for-profit focus group supporting vegetarian and vegan lifestyle. MEVEG encourages increased consumption of vegetables, fruits, grains, nuts and dry fruits in daily diets. “The 1st Middle East Veg Congress presents vegetarian living as a choice for health and eco-friendly lifestyle. Environmentally sustainable, socially unifying and personal health enrichment are the cornerstones of a plant-based diet,” said Ms. Sandhya Prakash, Founder-Director, MEVEG. The aim of the two-day Congress is to bring attention on topics such as sustainable and vegetarian lifestyle for wholesome health, environmental protection with an array of experts speaking at the event, panel discussions and engaging workshops. of all prepaid and post paid subscribers. fees as well as sales targets and bonus. With Smartphone usage on the rise, the amount of data traffic has increased dramatically. differentiated offers allow MNOs to generate additional turnover. support structure and will now be able to gain their SME certification with greater ease. runs from November 30 to December 1.
collaboration capabilities across video, voice and text. 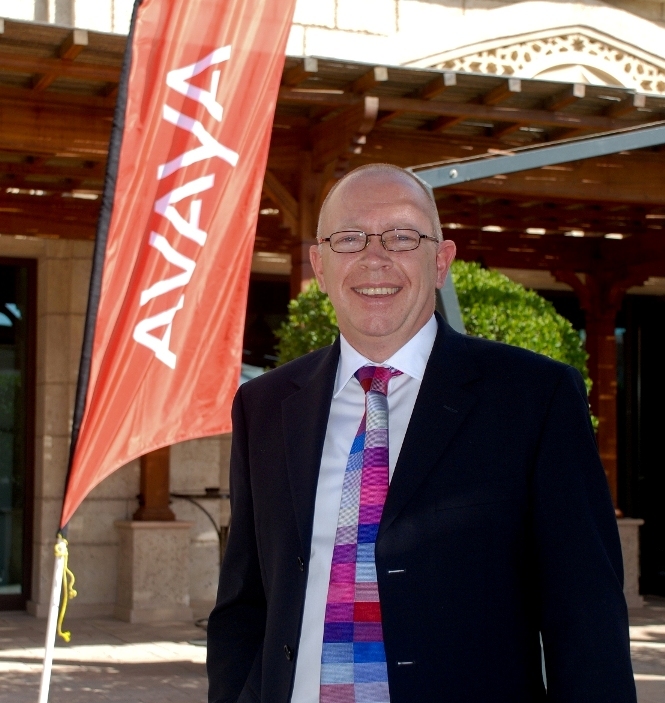 channel partners who have questions about Avaya’s partner programmes, tools and services. or portfolio sold. The new training and certifications will be available over the next two quarters. The Avaya Connect Partner HelpDesk is available now. solutions and how to win, grow and defend key customer accounts. Expert, Avaya Certified Solutions Architect , and Avaya Connect Video Solutions certification. patriotism and sense of belonging and loyalty. leadership that has led the UAE to achieve the historic success. promotion of patriotism among them. confine to citizens only, but would be shared by all residents of various nationalities. parks, resorts and the Children's City. the occasion of the National Day," he said. school students, who will present some cultural shows about the National Day. will prepare popular local food items. shows such as traditional songs, folk dances and cultural events will also take place. and Mushrif, Safa, Zaabeel and Jumeirah. Activities will start on Wednesday, 1 December and will continue until December 7.
will also host from 1-7 December different games and other regular park activities. to organizing special games and regular family activities. including that of a Ukrainian Show and other regular family entertainment. play on patriotism, and other activities. from December 1 to 7 along the shores in addition to the swimming events. Dubai, UAE. - Nov. 30, 2010 - Symantec Corp. has announced that it has been positioned by Gartner Inc. in the Leaders Quadrant of the 2010 Magic Quadrant for Enterprise Information Archiving (EIA) report1. In addition, Symantec received an overall positive rating from Gartner and its Enterprise Vault received a Strong Positive in a recent vendor report2. Symantec Enterprise Vault, which has been adopted by more than 15,000 organizations globally, helps customers store, manage and discover unstructured information across multiple content sources with a single solution. As the industry's most widely-deployed archiving solution, Enterprise Vault enables organizations to protect their information completely, deduplicate to reduce costs, delete information confidently and discover information efficiently. According to Gartner, approximately 70 percent of data is duplicate, and hasn't been accessed in over 90 days3. Enterprise Vault 9.0 helps mitigate this effect by archiving from sources where information can accumulate such as email, file servers and SharePoint. Doing so can dramatically reduce storage costs, improve backup times and streamline the e-Discovery process. Gartner research also shows that a well-deployed archiving strategy can save up to 60 percent in backup costs and reduce your backup times by up to 80 percent. In addition, Gartner research shows that through 2012, companies without an information governance strategy and technology for content archiving solutions will spend one-third more on e-Discovery than those with content archiving solutions4. Enterprise Vault provides easy compliance and e-Discovery searches by combining emails from Microsoft Exchange Online with on-premise archived content sources into a central repository, allowing organizations to centrally manage e-Discovery and support internal investigations. Enterprise Vault expands content source support to include Microsoft Exchange Server 2010 Service Pack 1 (SP1), Microsoft SharePoint Server 2010 and Domino 8.5.1. Symantec helps organizations secure and manage their information-driven world with storage management, archiving, backup & recovery solutions. The Magic Quadrants are copyrighted 2010 by Gartner, Inc. and are reused with permission. The Magic Quadrant is a graphical representation of a marketplace at and for a specific time period. It depicts Gartner's analysis of how certain vendors measure against criteria for that marketplace, as defined by Gartner. Gartner does not endorse any vendor, product or service depicted in the Magic Quadrant, and does not advise technology users to select only those vendors placed in the "Leaders" quadrant. The Magic Quadrant is intended solely as a research tool, and is not meant to be a specific guide to action. Gartner disclaims all warranties, express or implied, with respect to this research, including any warranties of merchantability or fitness for a particular purpose. The Vendor Rating is copyrighted October 1, 2010 by Gartner, Inc. and is reused with permission. The Vendor Rating is an evaluation of a vendor as a whole and is based on Gartner's assessment of the vendor's vision and execution for a product or service, relative to Gartner's analysis of clients' requirements. It is not intended as a comparison relative to competitors in the market. Gartner does not endorse any vendor, product or service depicted in the Vendor Rating, and does not advise technology users to select only those vendors with the highest ratings. Gartner disclaims all warranties, express or implied, with respect to this research, including any warranties of merchantability or fitness for a particular purpose. Symantec is a global leader in providing security, storage and systems management solutions to help consumers and organizations secure and manage their information-driven world. Our software and services protect against more risks at more points, more completely and efficiently, enabling confidence wherever information is used or stored. More information is available at www.symantec.com. DUBAI, U.A.E - 29 November 2010 – Emirates will launch services to Basra, Iraq from 2nd February next year. Basra will be Emirates’110th international destination and the sixth to launch in the 2010-2011 financial year. The service will operate four times a week each Monday, Wednesday, Thursday and Saturday, subject to Government approval. The flight will be operated by an Airbus A330, in a three class configuration, First Class, Business Class and Economy Class on Wednesday, Thursday and Saturday and in a two class configuration, Business Class and Economy Class, on Mondays. Well positioned, close to the oil fields and the Gulf, Basra continues to attract investments from major corporations around the globe. Key inbound markets for Emirates will include, oil and petroleum companies from the US and Europe, as well as Iraqi diaspora. Outbound traffic from Basra will be skewed towards local Iraqis. As the economy recovers and rebuilds, a large segment of the local population are expected to make use of this new service. Local authorities in Basra have also started developing plans to attract inbound tourism with one of the city’s most iconic hotels, the Sheraton, recently reopening for business. Emirates expects to uplift around 10-12 tonnes of cargo per flight, using the belly hold capacity on the wide-bodied passenger aircraft. As the city is re-established Emirates will be importing a range of commodities that will facilitate the city’s redevelopment. Key imports will range from perishable foodstuffs and garments to electronics and oil well equipment – from all corners of the world. EK 945 will depart Dubai at 13:45 hours and touch down at Basra International Airport at 14:45 hours the same day. At 16:15 hours, return flight EK 946 will depart Basra touching down in Dubai at 19:10 hours. The service connects seamlessly with key industry hubs in the US and Europe. Abu Dhabi will host the 5th Annual Forum of the United Nations Global Alliance for Information and Communication Technologies and Development (GAID), on 5-6 December, 2010, in the presence of Mr. Talal Abu-Ghazaleh, Chairman of GAID, with high-level participation from governments, the private sector, NGOs, international organizations, academia, and major global companies from different parts of the world. The Forum will also be attended by major iconic civil society members, sitting side by side with VIPs representing different countries involved in development, information and communication technology (ICT) issues, as well as representatives of relevant UN organizations. The GAID Forum, organized and sponsored by Abu Dhabi Systems and Information Centre (ADSIC), and held concurrently with the "World Summit Award - Mobile Content", will hold discussions about the role of ICT in achieving the Eight Millennium Development Goals (MDGs) by the year 2015, which include eradicating extreme poverty, achieving universal primary education, promoting gender equality, reducing child mortality rates, improving maternal health, combating HIV/AIDS, ensuring environmental sustainability, and developing a global partnership for development. Mr. Talal Abu-Ghazaleh, Chairman of GAID, said, " It gives me great pleasure to announce at this UNGAID annual meeting in Abu-Dhabi the launch of the MDG eNABLER which was invented by our team of experts. This virtual engine will act like a GPS for economic development and will be available for free use by all developing countries to advance the achievement of the Millennium Development Goal". The Global Alliance for ICT and Development (GAID) was launched in 2006 as a global platform for putting the vision of the World Summit on the Information Society (WSIS) into effect, and promoting the use of ICT to achieve the internationally agreed development goals, including the Millennium Development Goals (MDGs). In his speech during the top-level GAID meeting held last September, in the presence of 80 governmental officials, global IT executives and senior UN officials, the UN Secretary-General, who is expected to attend the Forum in Abu Dhabi, commended the digital initiative, the MDGs eNabler, which aims at promoting the development goals. The eNabler will act as a “one-stop shop” for policy makers, planners, project managers, and development workers involved in the implementation of national development programs and strategies. The eNabler is a set of web-based tools and resources designed to assist all users worldwide in their work to advance and accelerate MDGs nationally. It comprises a set of creative components including an ICT Solution Matrix, which is a Strategic Planner, the Meta Portal (Portal of Portals) in ICT for MDG, simulators and games, and Compendium of Excellence. The two-day EnviroCities 2010 conference concluded on Monday at Intercontinental Hotel, Dubai Festival City with a call to spread the culture and awareness in the community on basic green building standards, and continue to develop green building laws in line with the continuing evolution of technology. The conference organized by the Environmental Centre for Arab Towns (ECAT) in cooperation with Dubai Municipality, under the title, "Green Cities," saw the presentation of 15 work papers on different aspects of green cities by various experts in the field. The conference also called for paying attention to effectively managing all aspects of life in the city and directing them towards sustainability, in addition to caring to transport the energy in the city buildings to the neighbourhood and at the same time, measure its impact on the city and make the environment green as part of the priorities and concerns of daily life. It also appealed to work on the development of systems used in transport to achieve the greatest possible degree of rationalization of energy consumption. Other recommendations include formulation of new laws with dimensions of contemporary reality, concerted efforts of various parties to promote mass transit as one of the items with the greatest impact on the urban environment, search for alternatives means of transport using environment-friendly energy sources, provide appropriate infrastructure to encourage walking or cycling, and establish a sustainable scientific research complex including scientists and researchers in the country aimed at achieving the construction of the green city. November 29th: The Middle East’s largest private luxury developer, DAMAC Properties, has won a prestigious International Property Award for DAMAC Tower, its landmark collaboration with VERSACE Home in Lebanon. DAMAC Properties beat a field of international developers to win the award for “Best High Rise Architecture” for its luxury DAMAC Tower development in Beirut. The award was announced at a gala ceremony in London at the weekend. DAMAC Tower was launched in June and is the first exclusive VERSACE Home branded residential tower in the region. Situated in the elite marina area of the new Solidere development in Beirut, DAMAC Tower has extensive views of the Mediterranean. The spectacular flowing curves and undulating volumes of the 28 storey building were designed to emulate the surging waves of the ocean. “DAMAC Tower is a majestic development which strikes a balance between technology and luxury without compromising on style and aesthetic appeal. This innovative collaboration between DAMAC Properties and VERSACE Home will deliver to residents the luxurious Italian lifestyle concept.” Mc Loughlin said. 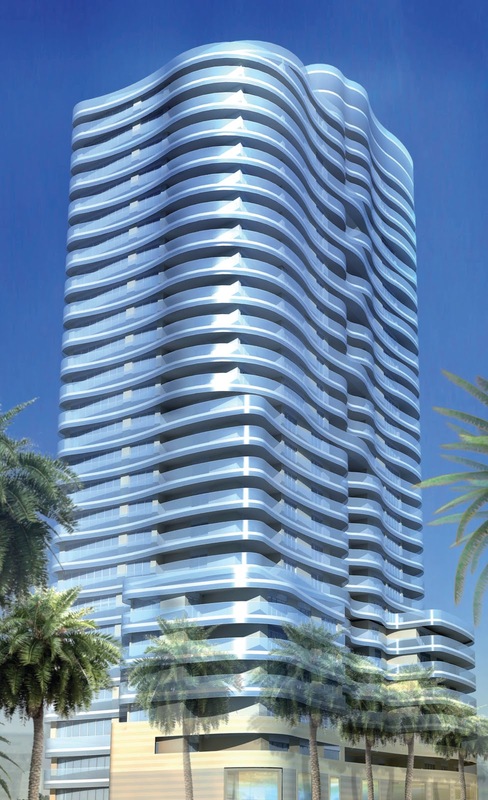 DAMAC Tower will feature spacious private units resplendent with custom designed interiors. All the common areas including the health and fitness facilities, the concierge reception, and the main lobby will feature VERSACE Home products. “DAMAC Properties’ partnership with VERSACE, the world-renowned Italian fashion house synonymous with glamour and luxury, defined the interiors of DAMAC Tower. The shared vision of the two companies has combined to deliver the most prestigious and sought-after property in Beirut” said Mc Loughlin, “and now that DAMAC Tower has been recognised as being one of the most outstanding developments in the world, interest in this project is likely to come from much further afield.” He added. The judging of the International Property Awards was carried out by an esteemed panel of international judges. This year’s judges included Luke McKend, industry head property markets of Google UK; Peter Bolton King, group chief executive of the National Federation of Property Professionals; Christopher Hall, president elect of FIABCI; Thijs Stoffer, International Consortium of Real Estate Agents Association (ICREA); Fiona Nixon, chairman of the Australia Institute of Architects, Hendrik Nelde, president of FIABCI Belgium; Helen Shield, editor-in-chief of International Homes Luxury Collection magazine and Sven Johns, CEO of the German Real Estate Association. DAMAC Properties has a proven track record of designing and developing world-class luxury projects across the Middle East, North Africa and the Levant. The name ‘DAMAC’ has become synonymous with superior quality and luxury lifestyle living. DAMAC Properties’ recognition in the International Property Awards further cements the developer’s position as one of the most highly regarded property developers in the region. DAMAC Properties, part of DAMAC Holdings was established in 2002, as a private residential, leisure and commercial developer in Dubai and the Middle East. Since then, DAMAC Properties has expanded rapidly into North Africa, Jordan, Lebanon, Qatar and Saudi Arabia. 2009 was labelled the ‘Year of Construction’ at DAMAC Properties, during which it aggressively focused on construction and contract delivery to trusted and quality contractors. DAMAC Properties have already delivered more than 3500 units into the market with projects at IMPZ (The Crescent), TECOM (Executive Heights), JLT (Lake View and Lake Terrace) and the Marina (The Waves and Marina Terrace) already delivered and is expected to have handed over a further 3,971 in the next year. In June 2010, DAMAC Properties further reinforced its position as a premium developer with the launch of DAMAC Tower in Beirut, Lebanon. A 28 iconic tower, this project is in association with Italian design group, VERSACE, with all interiors being designed by Versace Home. The company has a diverse range of expertise that allows them to have a good oversight and management of all aspects of a project right from the acquisition of land, appointment of architects and designers, construction and sales to after sales service. The company’s projects are located in the most desirable and exclusive locations and homes are built to a high quality specification that has become synonymous with the group. DAMAC Properties aims to develop projects that include residential, commercial and leisure facilities that will create an integrated community. In addition to support services provided by the Dubai headquarters, the company’s comprehensive Customer Care Program provides solutions through its vast network with offices in the UAE, Jordan, Lebanon, Egypt, KSA and Qatar. Baume & Mercier creates Hampton Classic for the Middle Eastern Woman. Cut out for action and for leisure pursuits beneath the Atlantic sun, the avant-garde design and the powerful identity make it equally at ease in the city and at an evening event. Ever since 1919, Milus has stood for outstanding Swiss watchmaking art combined with mechanical finesse, exclusivity and a brilliant interaction of unique language of form and the most precious materials. Milus’ philosophy is based on combining movement and changeability in its outstanding timepieces and jewellery items. True to this principle, Milus’ exquisite novelty TIRION Répétition Minutes TriRetrograde is now available in the Middle East. Through the combination of minute repetition and tri-retrograde function, Milus on the one hand underlines its watchmaking expertise and, at the same time, also the high art of developing a watch with an aesthetic and lasting language of form within its own company. After two years of intensive development, the traditional Biel company is launching this prestige watch as a limited edition of 50 pieces with own calibre. An extraordinary milestone in the corporate history of the Swiss watch brand. Even today, minute repetition remains one of the major technical challenges in the art of watchmaking. Whilst this fine-sounding complication provided a useful function prior to the introduction of the electric light, today it enthuses experts and watch lovers through its unique complexity. Designed to indicate the time during the dark night-time hours, the minute repetition can, on demand, announce the hours, quarter-hours and minutes with a harmonious sound within the tiny dimensions of a wristwatch. Pureness of tone and fullness of sound are the challenges faced by the experts. Every minute repetition achieved is therefore presented as a masterpiece that is held in high esteem by watch connoisseurs thanks to the craftsman’s skills and precise attention to detail during manufacture. Long years of experience in the watchmaking art of minute repetition and a trained ear are indispensable for the production of this artefact. For Milus, the launch of the TIRION Répétition Minutes TriRetrograde represents a significant step. 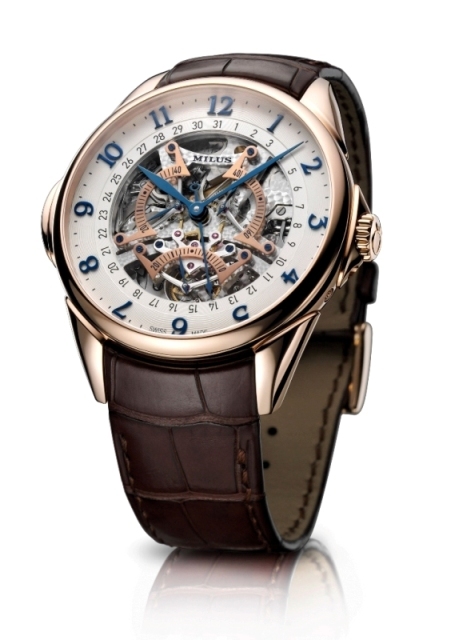 With the complication minute repetition, combined with the fascinating play of the tri-retrograde seconds display that is characteristic of Milus, the company has achieved a high-precision and very ambitious timepiece in line with its philosophy and with an especially "highly personal" mark. Over 400 individual parts of the clockwork movement are put together in excess of more than 140 hours of meticulous work by watchmakers of the highest reputation. Each component is decorated by hand and is tested repeatedly beforehand in terms of form and composition in order to optimise the sound quality and the functional precision of the watch. It is important to find the right balance between the lowest possible volume of the ticking minutes and as recognisable a sound as possible of the minute repetition. The aim is to create an unforgettable sound, a highly personal acoustic signature which reflects the extraordinary language of form of the watches from this traditional company. Swiss-made watches have been the distinctive trademark of Milus since its foundation in 1919. Each Milus creation is based on technical perfection and aesthetic concerns, serving the function and giving time another dimension. The second day of EnviroCities 2010 conference saw the presentation of eight working papers on various topics related to green cities by regional and international experts in the field. The first lecture on the second day was delivered by Matthew Plumbridge, consultant environmental and sustainability planning, Department of Municipal Affairs, Abu Dhabi. He talked about the Abu Dhabi experience in transforming towards Green City. He said the integrated regulatory framework of Abu Dhabi Municipality include green building codes, which focuses on durability, ventilation, safety and quality. The frame work also includes energy code and fire code. The second paper of the day called, “Sustainable Cities: Strategy, Elements and Indicators to Counterbalance Climate Change,” was presented by Prof. Mohsen Aboulnaga, Government Strategy & Policy Advisor and main founder of Emirates Green Building Council. “The impact of Climate Change on our cities has been recently severely manifested in the floods in Pakistan, Philippines and Italy causing major landslides and destruction to nature and manmade environment, the blistering heat waves in Europe this summer, the major droughts, heat in Russia causing forest fire, and the Tsunami,” said Aboulnaga. However, he said, these natural disasters have triggered the alarm to think sustainability and the need to build eco-friendly cities. “Creating and designing cities is one of the most complex and sophisticated processes as they ultimately consume most natural resources, an awful amount of energy, and use huge quantities of water as well as produce air pollution and generate waste. These pose a huge risk to our health and environment, and ultimately contribute to climate change; a phenomenon that is of prime global concern,” Aboulnaga pointed out. “Another crucial dimension impacting climate change is the gigantic rise in world population particularly, in urban areas and beyond,” he pointed out. According to the United Nations 2009 report on water shortage, and keeping in mind the world’s high energy consumption rates, it is becoming assertive that strategy and policy, and its assessment tools in sustainable national planning should be firmly developed and exploited to put forward appropriate key performance indicators to encounter such great challenges and ensure our cities are sustainable,” said Aboulnaga. “To curb green house gases emissions and reduce its impact on climate change, it is vital to efficiently plan our cities to be sustainable yet, to diligently develop strategy and policies that promote sustainability to the extent these cities are eco-friendly and maintained,” he said. Narciso Zacarias, expert from Dubai Municipality presented his paper on cool green cities in which he talked about Dubai Aerial Thermal Survey. He said that due to construction boom in the city of Dubai it is becoming densely populated and this led to temperature rise due to influence of hot and humid climate that experiences a pronounced Urban Heat Island (UHI). The burden of the UHI can have significant impact on human health and thermal comfort consequences needing more energy consumption for cooling thus effecting urban air pollution, Zacarias pointed out. “With Dubai Municipality's commitment to promote sustainable development, the Environment Department in association with Geographical Information System (GIS) launched the Dubai Aerial Thermal Survey study with a contract from COWI Gulf A/S in October 2009 to map thermal data of the city to understand the prevalence of UHI and to identify the objects being heated and emitting heat to the surroundings,” he said. “The aerial collection of thermal data was made in the 1st week December 2009 over the 600 sq. km area of urban environment. In relation to the aerial thermal mapping survey, COWI Gulf A/S measured the surface heat island by remote thermal sensors mounted to an aircraft with over 31,000 thermographs were captured during the flyover,” said Zacarias. “Based on the thermal mapping data, the report provides an overview of the UHI phenomenon in Dubai. The report seeks to provide additional information pertaining to mitigation options and suggests overall interventions to be taken by Dubai Municipality and its city stakeholders,” he said. “The report refers to best practices and additional thermal reading findings which can aid Dubai Municipality in its decision making and future plans on how to address the UHI phenomenon. Socio-economic and demographic data at the next stages of planning level will be used to quantify exposure to urban heat island magnitude among residents. It was inferred that future research should be focused on design and planning parameters for reducing the effects of urban heat island and ultimately living in a better environment,” said Zacarias. He tried to show how “green” design at the urban scale can start very early at the inceptive stages and gave ideas on how resources can be used to their optimum and energy can be produced and used rationally, especially within the greater matrix of design involving other considerations such as aesthetics, identity and social space. Chenaf said green design is not a choice anymore as more and more people are aware of the danger of pollution and the waste of resources as well as the benefit from the respect of nature and use of renewable energy. The presentation by Sougata Nandi of TECOM, titled “Lean to Green Lifestyles” explored the key elements of the low carbon lifestyle, its links to well-being, employee satisfaction and community cohesion, as well as strategies for planning, design, communication and enterprise development. For the ninth time in succession, the MONTBLANC YOUNG DIRECTORS PROJECT took place as part of the Salzburg Festival 2010. 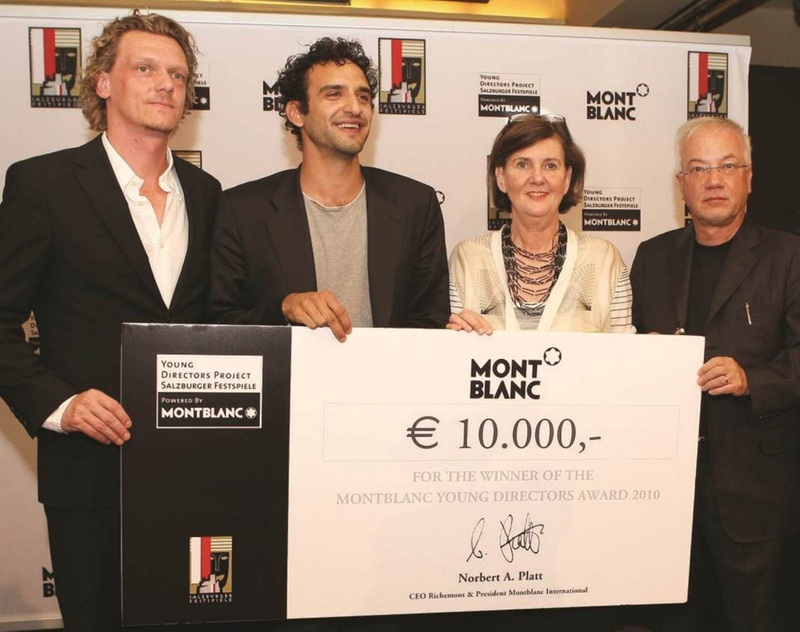 The MONTBLANC YOUNG DIRECTORS AWARD is endowed with prize money amounting to €10,000 and the Montblanc Max Reinhardt Pen, which was exclusively designed for this project. 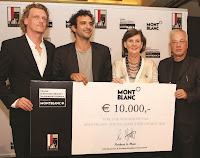 The theatre project was again sponsored entirely by the International Culture Brand Montblanc. As in previous years, the sale of the Salzburg special edition “Hommage à Max Reinhardt” generated additional sponsorship funds and, once again, allowed a fourth production to be staged. The Swedish-born director Jakop Ahlbom, who has worked in the Netherlands for several years, with INNENSCHAU – a theatre thriller, a journey under the surface of the human psyche into a realm of secret wishes and bizarre fantasies which are revealed in layers during the performance to become more and more visible until the audience are left sitting in the dark – swallowed by the unfathomableness of a strange world. Sylvain Creuzevault and his company d’ores et déjà from Paris with their production NOTRE TERREUR – a play about how the theatre can look at and contemplate the terror of the French Revolution. The play shows the incredible willpower of Robespierre and his fellow members of the revolutionary government in their attempts to reinvent democracy, but also focuses on their desperation at failing in the face of the revolution’s ideals. Angela Richter from Germany with TOD IN THEBEN, a play written by the Norwegian author Jon Fosse, which comprises the three great tragedies about the rise and fall of King Oedipus, his exile on Colonus and the dire fate of his daughter Antigone in a terse drama of great emotional density. Angela Richter sets this most primeval of family dramas inside a light installation in which the mythical protagonists Oedipus and Antigone appear and make us question our concepts of blame, silence and solitude, and examine what they mean for our contemporary world. Claude Schmitz from Brussels with MARY MOTHER OF FRANKENSTEIN – a piece about the old dream of creating a human being in our own image. The show presents a living nightmare which narrates the life and works of the author of Frankenstein, Mary Shelley, and also references the incredible pace of biotechnology we are witnessing today. The Young Directors Award 2010 is unanimously given to Sylvain Creuzevault and his company d’ores et déjà. With NOTRE TERREUR, the jury values in particular the impressive performance of an accomplished ensemble in which the actors are turned into co-directors and the director himself becomes a primus inter pares. The company has made the story of the French Revolution and its implications for the present accessible for youthful enthusiasm; they show the failure of the highest ideals and the dangers of a dictatorship of the virtuous. The company succeeded with sparse means and in direct contact with the audience, through clever use of the space and increasing dramatic force.